Bottle trap 5/4″ x 32mm with plug set – White. 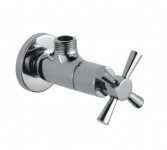 Chromed brass bottle trap 5/4″. Evacuation tube 200 mm. Angle valve 3/8″. 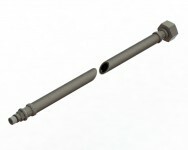 Inlet: 1/2″ – Outlet: 3/8″. 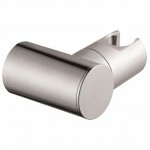 Chrome plated brass body. Ceramic cartridge. 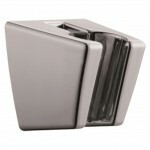 Round design chrome plated waste. 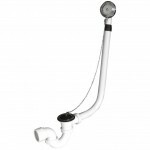 5/4″ drain with 200mm evacuation tube. 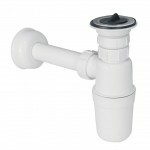 Round design waste bidet 5/4″ with bottle trap. 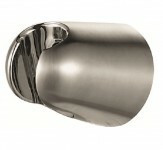 Round design chrome plated bidet waste. 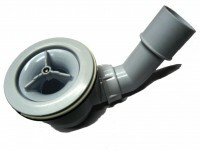 5/4″ drain with 200mm evacuation tube. Chrome bottle trap 5/4″ with evacuation tube. 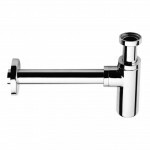 Chrome bottle trap 5/4″ with evacuation tube and plug set. 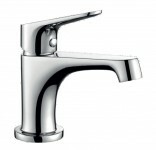 Cold water tap with pop-up waste – Chrome. 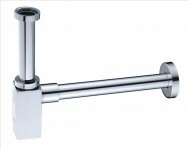 Cold water tap with pop-up waste – White.